What is Managed Payroll and why is it the Right Choice for Your Organization? Managing payroll is a fundamental part of being an employer, and probably one of your organization’s largest expenses. Managing payroll, however, is time-consuming and complex, even for the savviest of companies. Managing a payroll, whether it’s every week or every month, will involve calculating wages, making sure you’re compliant with the latest regulations, deducting tax, insurance and pension plans - all while your business ensures it pays its employees properly and on time. Add your company’s contingent workforce payroll into that, and it gets even more complex. The difficult nature of managing non-permanent worker payroll leaves a high risk of error and many in-house employees brought in to manage a companies contingent worker payroll often lack the necessary skills and expertise to do so successfully. Many companies such as ADP and Ceridian help solve the complex nature of your permanent workforce by specializing in managing payroll for employees - But what about paying your external, non-permanent workers? Who can manage the risk, cost and complexity? What is managed payroll for contingent workers? In its simplest form, a managed payroll for external, non-permanent workers is a fairly straightforward concept. Instead of your organization managing its payroll in-house, managed payroll is the act of outsourcing this responsibility to a managed services provider (MSP). Every aspect of your contingent worker payroll will be managed by this third-party services provider, and the only thing that your organization will be required to do is provide the necessary information such as employee data, pay rate and hours worked. and filling out any other necessary paperwork. What are the benefits of managed payroll? There are numerous benefits that come with managed payroll services for contingent workers, from saving money on in-house costs such as licensing software and payroll employees, to the improved peace of mind that comes with hiring an expert that knows exactly how to optimize your organization’s external payroll. 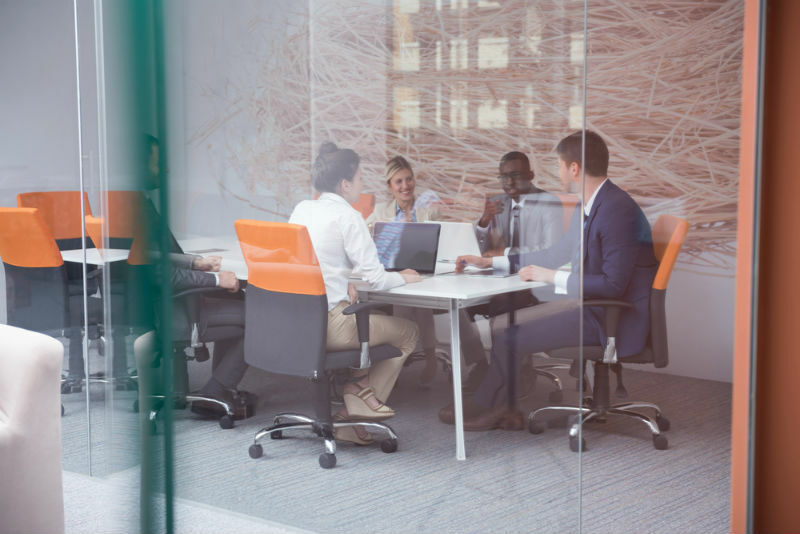 HCMWorks has listed the top five benefits your organization could realize from making use of a contingent workforce managed payroll. Compliance risk management: An external worker payroll is complex. This means specialized skills are needed to ensure that your organization is compliant with current legislation. Thankfully, an MSP will be able to provide your company with expertise into current regulations, privacy, data protection and any other advice you’ll need to ensure your organization is working above board. Control costs: Managed payroll services for your company’s contingent workforce can help your organization cut down on the significant in-house costs associated with a payroll department. This will include saving money on payroll employees, payroll software fees, the office supplies needed to deliver cheques and much more. Save time: By taking away the time-consuming roles associated with external worker payroll from your HR team, you will allow the HR professionals within your organization to focus on more important activities. They’ll be able to use this time to focus on more important workforce strategies that get the best out of your employees and help your business to grow. Enhanced accuracy: Contingent worker payroll is complex, particularly for an employee who doesn’t have a deep understanding and expertise in the field. Getting your external worker payroll numbers wrong could get your organization in trouble with the government, as well as frustrate your contractors and non-permanent workers. The expertise that come with managed payroll services ensures that your external workers get paid correctly and promptly, every time. Keep control: Just because you are outsourcing your contingent worker payroll, doesn’t mean you will have any less control than you had when you were managing it in-house. In fact, when outsourcing your payroll your organization will still have complete control and visibility into your payroll. An MSP is a flexible partner, so they will have no problem allowing you to pick and choose exactly which aspects of your payroll you want to hand over to them. Is managed payroll the right choice for your organization? Managed payroll services for external workers are suitable for every type of organization, no matter how large or small in size. That being said, large organizations which already have an in-house payroll department will realize the most immediate cost benefits. These large organizations will no longer need to employ dedicated staff or continue to pay the expensive costs associated with their current payroll processes. Want to learn more about managed payroll services and how it can be implemented into your business? Contact the HCMWorks team of experts today for more information.